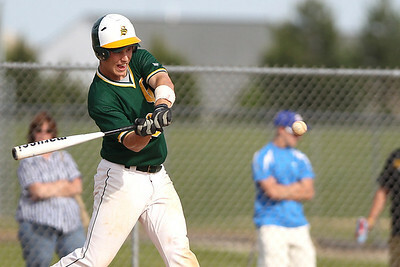 Mike Greene - mgreene@shawmedia.com Crystal Lake South's Tyler Salm swings at a pitch during the Class 4A Regional Semifinals against Dundee-Crown Wednesday, May 23, 2012 in Huntley. 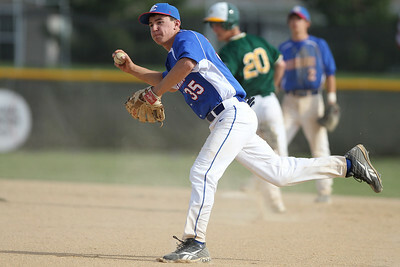 Salm went 2-3, scoring three runs in Crystal Lake South's 12-2 victory to advance to the finals against Cary-Grove Saturday. Mike Greene - mgreene@shawmedia.com Dundee-Crown's Nick Lodi pitches in relief during the Class 4A Regional Semifinals against Crystal Lake South Wednesday, May 23, 2012 in Huntley. Crystal Lake South won the game 12-2 in five innings by the ten-run rule and will advance to the finals Saturday. 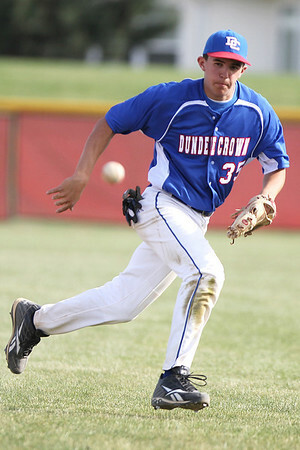 Mike Greene - mgreene@shawmedia.com Dundee-Crown's Garret Ryan drives a pitch into the outfield during the Class 4A Regional Semifinals against Crystal Lake South Wednesday, May 23, 2012 in Huntley. Crystal Lake South won the game 12-2 in five innings by the ten-run rule and will advance to the finals Saturday. Mike Greene - mgreene@shawmedia.com Crystal Lake South's Jordan Van Dyck throws over Dundee-Crown's Jake Romano to complete a double play during the Class 4A Regional Semifinals Wednesday, May 23, 2012 in Huntley. 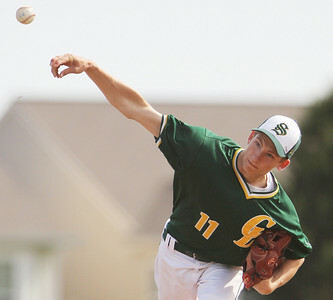 Crystal Lake South won the game 12-2 to advance to the finals against Cary-Grove Saturday. 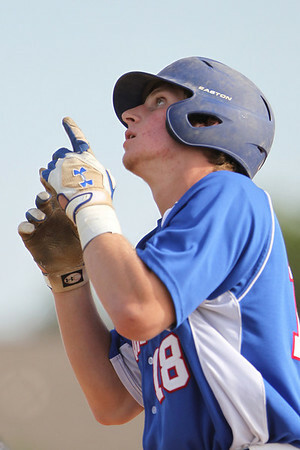 Mike Greene - mgreene@shawmedia.com Dundee-Crown's Ryan Suwanski points to the sky after hitting a home-run during the Class 4A Regional Semifinals against Crystal Lake South Wednesday, May 23, 2012 in Huntley. Crystal Lake South won the game 12-2 in five innings by the ten-run rule and will advance to the finals Saturday. Mike Greene - mgreene@shawmedia.com Crystal Lake South's Tyler Hall pitches against Dundee-Crown during the Class 4A Regional Semifinals Wednesday, May 23, 2012 in Huntley. 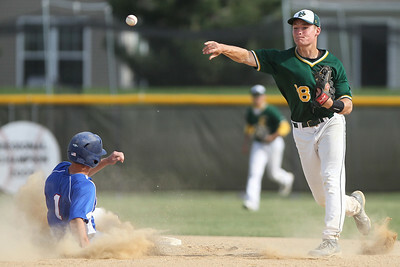 Crystal Lake South won the game 12-2 to advance to the finals against Cary-Grove Saturday. 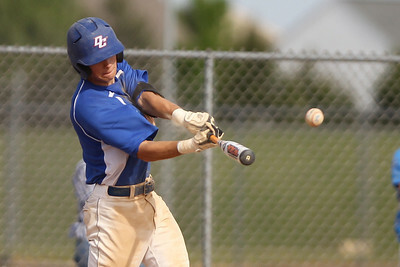 Mike Greene - mgreene@shawmedia.com Dundee-Crown's Kyle Bernhard attempts to grab a ball hit thru the right side during the Class 4A Regional Semifinals against Crystal Lake South Wednesday, May 23, 2012 in Huntley. Crystal Lake South won the game 12-2 in five innings by the ten-run rule and will advance to the finals Saturday. Mike Greene - mgreene@shawmedia.com Dundee-Crown's Kyle Bernhard plants his foot before throwing to first base during the Class 4A Regional Semifinals against Crystal Lake South Wednesday, May 23, 2012 in Huntley. Crystal Lake South won the game 12-2 in five innings by the ten-run rule and will advance to the finals Saturday. Mike Greene - mgreene@shawmedia.com Crystal Lake South's Max Meitzler throws his bat after being hit by a pitch during the Class 4A Regional Semifinals against Dundee-Crown Wednesday, May 23, 2012 in Huntley. 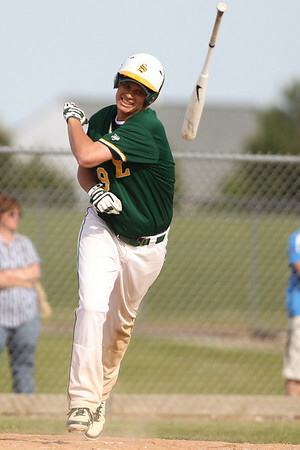 Crystal Lake South won the game 12-2 to advance to the finals against Cary-Grove Saturday. Mike Greene - mgreene@shawmedia.com Dundee-Crown's Zach Desmond reacts as a ball gets by him in the outfield during the Class 4A Regional Semifinals against Crystal Lake South Wednesday, May 23, 2012 in Huntley. Crystal Lake South won the game 12-2 in five innings by the ten-run rule and will advance to the finals Saturday. 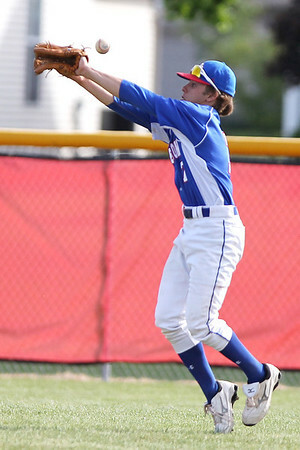 Dundee-Crown's Garret Ryan drives a pitch into the outfield during the Class 4A Regional Semifinals against Crystal Lake South Wednesday, May 23, 2012 in Huntley. Crystal Lake South won the game 12-2 in five innings by the ten-run rule and will advance to the finals Saturday.